Born and raised in Edmonton, Kris’s childhood was filled with poverty and instability. By the time he was a teen he found himself dealing with a range of challenges that made it hard to imagine a better future. Kris has always enjoyed cooking – in fact he counts Hell’s Kitchen as one of his favourite shows. Having a chance to hone his skills and develop new ones while at Kids in the Hall has helped him begin planning for the future. “You can come here with no experience and leave with a bunch,” he explains. 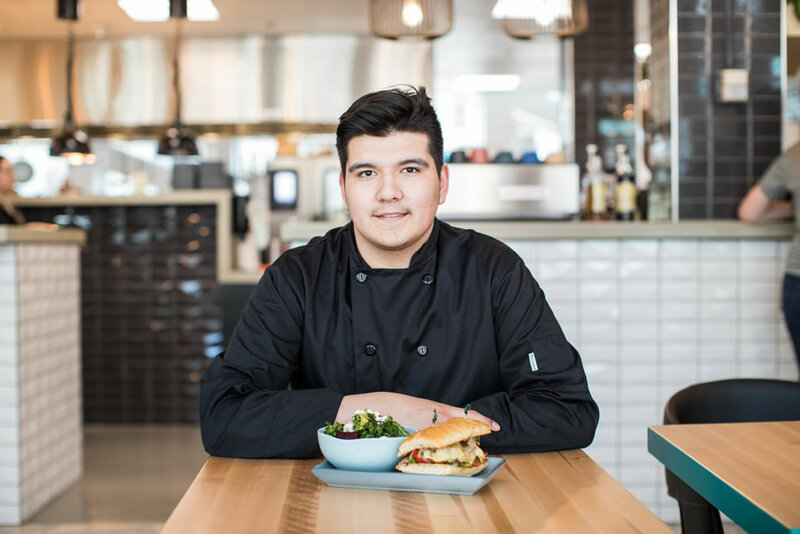 Once he’s completed the program, Kris plans to continue in the food service industry with the hope of someday opening his own restaurant.